Successful and reputed businesses depend on innovation, and that’s the key to their achievements. However, it’s quite tough to follow the innovative processes since they require optimum care and crucial considerations. Prototypes of designs and prints are of paramount significance for unique results. When it comes to executing these projects, designers have to keep several aspects in mind. Choosing the most efficient company and reputed service providers is the first thing to do. Prototypes are needed for a number of reasons and in different sectors and rapid prototyping services are therefore very important in serving the needs of global customers. Customer concepts are brought to life by services such as 3D printing, pressure die casting, rapid plastic injection molding, rapid tooling and custom sheet metal fabrication among others. Companies that offer the services will in most cases also take up the modeling and drawing of the needed products before moving to manufacturing. Such services offer very pleasant experiences to customers, but what factors should you consider when hiring the important services. Client handling – A rapid prototyping company ought to know how to handle customers. It should value working closely with its clients as a simple way of making sure that the products are made to the specifications and to also ensure that the clarification of customer requirements is done to ensure that the produced prototypes are on point. Friendliness and professionalism – Apart from enjoying friendly service, you should also be handled professionally. For instance, a good company should have a reliable team of prototyping engineers who have the ability to handle customer needs, including advising the customers on the best processes, materials and even finishes that are best for the project at hand. You can easily tell how professional and friendly the team on your project is by the responses you get with questions and generally how the entire process is handled for you. Technological advancement – For the desired results to be achieved, your rapid prototyping company should be up to date with the latest machines and technology. Remember that the machines and prototyping techniques used can largely determine the results that you enjoy and it can also determine the manufacturing capabilities of the company especially for large projects. Ensure that your service provider uses materials and machines that ensure accuracy in manufacturing as well as functional and tough products in the end matching your exact needs. 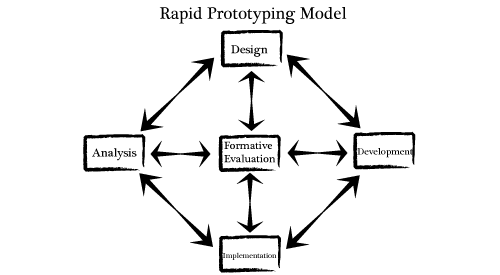 Quality and turnaround – The best thing about rapid prototyping is that it greatly minimizes the time that was initially needed to have desired models completed. However, you want to ensure that your company can deliver your models within the stipulated time to ensure that your projects are not slowed down in any way. Apart from having the models delivered on time, the company should value quality in what it offers you. Consider how qualified and skilled the model makers are so that you gain confidence in the prototype quality once finished. Cost – Of course it is something that you cannot afford to overlook since you want to ensure that indeed you can afford the services offered by the prototyping company. 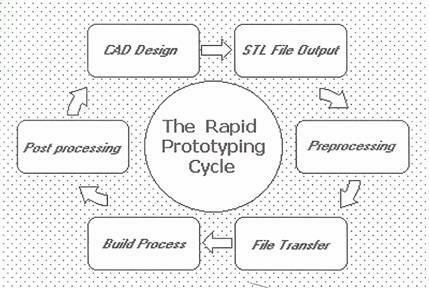 With a good number of companies now offering rapid prototyping services, you should enjoy reasonable rates although other factors could play a role in the amount you pay. They include the size of the prototype, the number of models you require and how complex the models in terms of features. Factor in all these aspects and you will be able to know whether the cost is reasonable or not.